1Suganya. S., 1Bharathidasan. R., 1Senthilkumar. G., 2Madhanraj. P. and 1Panneerselvam. A. 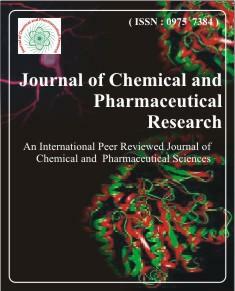 Studies on antibacterial, antifungal activity and phytochemical analysis of Aristolochia bracteata Retz. Pharmacognostical and phytochemical studies on leaves of Stephania japonica Linn. Physico-chemical Composition and lipid classes of Aegle marmelos( Bael )and Citrullus colocynthis( Tumba) Seed Oils.